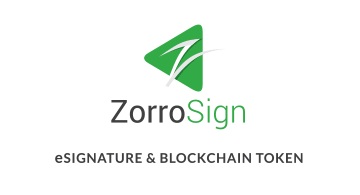 ZorroSign is an Electronic Signature and advanced Digital Transaction Management platform, that includes real eSignature and a unique electronic document transaction security and authentication technology. Built from the ground up to include bank-grade security, ZorroSign technology is fully compliant with international standards and legally acceptable. ZorroSign Document 4n6 (Forensics) Token offers document tampering and signature forgery detection for both printed and digital copies of eSigned documents. It can help verify that a document has not been tampered with, revised, revoked, replaced or cancelled. When challenged or investigated it can be used as evidence without repudiation in a court of law.